For night time play and performances, I like to use an LED hoop. Well, I don’t make LED hoops and often get asked where to purchase one. There are so many great companies who make quality products. 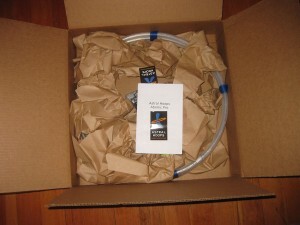 But I just bought an Astral Hoop Atomic Pro because I saw one at HoopCamp and it blew my mind!!! Check out their website and buy one of their hoops!! And if you do, please use this code: http://astralhoops.com/r/Hoopanista. I need to tip my hat to LED Heady Hoops for my very first LED hoop. I have since gifted that hoop to another hooper. I purchased my next two Trick Concepts hoops through The Spinsterz. Those are my workhorses. They go camping with me and have been to Burning Man twice. If you’re considering an LED, do your research and talk to other hoopers before making your choice. It’s a personal and exhilarating step in the hooping world.